The age requirement to buy and use marijuana is 21 years and older. This means that the dispensaries will of course be checking IDs the make sure no one underage illegally purchases the drug. There’s also restrictions on the amount a person can purchase and carry- up to one ounce of marijuana. The state has imposed the time frame of 10pm- 6am where dispensaries are not allowed to sell. Residents of any state can purchase the recreational marijuana– but if it crosses state lines it can be considered drug trafficking and carries heavy consequences. (Stay tuned for a blog on marijuana at the federal level). Taking drugs with you on an airplane probably isn’t the best idea either and could potentially get you in legal trouble there as well. As we recently wrote, it’s also important to remember that an employer can terminate an employee for using recreational or medicinal marijuana, even if the drugs were legal where used. Be careful where you smoke as well. In California it is still illegal to smoke in public and there is a state imposed fine for those who break the law. Marijuana usage must be done on private property. Marijuana is also banned from all places where tobacco is banned which means you can’t light up at schools or parks either. 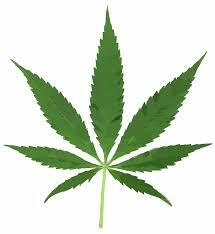 As of January 1st, it’s illegal to use marijuana while operating a motor vehicle or as a passenger in a vehicle. Police are on the lookout for users driving under the influence and those who are caught under the influence will face DUI charges. Marijuana also must be in a completely sealed container if it is being carried in a car which is the same as alcohol. As always, if you have questions on this topic or others feel free to give us a call and one of our skilled attorneys will happy to assist you.